Mamsha Al Saadiyat ... on track for hand over next year. Giving the latest quarterly update on its projects, Aldar says the community retail plaza, which includes the first Spinneys supermarket on Yas Island, is now open. 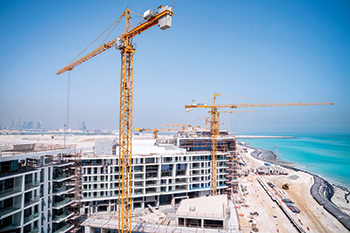 The main construction work is progressing well on Yas Island’s two waterfront apartment communities with concrete and waterproofing well under way at Water’s Edge and cement and blockwork advancing across all five apartment buildings and beach houses at Mayan, it states. Al Jimi Mall, Al Ain ... expansion in the final stages. At Yas Acres, Aldar’s flagship golf and waterfront development, construction at all 652 villas launched to date is in various stages of completion while infrastructure works, including installation of irrigation, gas and potable water pipes, are making good progress. On Reem Island, Meera is nearing completion ahead of the scheduled handover later this year with all cladding and glazing work on the two symmetrical towers now substantially complete. Aldar says the elevators are in the testing phase, while all internal carpentry and ironmongery works have entered the advanced stages of fixing. 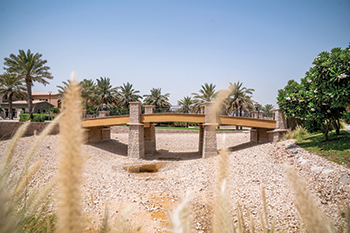 On The Bridges, a six-building development launched in April last year, Aldar says the first phase of the development had advanced to the ground floor with the second phase progressing well following the completion of piling work. Jawaher Saadiyat ... to comprise 83 luxury four-bedroom townhouses and four to six-bedroom villas. Mamsha Al Saadiyat, a 1.4-km mixed-use project located at the Saadiyat Cultural District, is on track to be completed and handed over next year with cladding, glazing work and promenade construction all in progress. The Abu Dhabi developer says the retail units at Mamsha Al Saadiyat (Saadiyat Walk) are in the final stages and being prepared for leasing, with show apartments ready over the upcoming quarter. According to Aldar, engineering and structural work is now substantially complete at Jawaher Saadiyat, an exclusive gated community on Saadiyat Island, with finishing and MEP (mechanical, electrical and plumbing) works making good progress. Jawaher Saadiyat comprises 83 luxury four-bedroom townhouses and four to six-bedroom villas overlooking the region’s first championship beachfront golf course, Saadiyat Beach Golf Club. 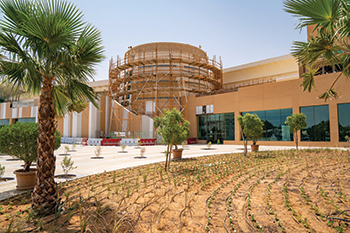 In Al Ain, Aldar says the expansion and renovation work at its Al Jimi Mall was entering its final stages with fit-out works currently under way for a number of tenants, restaurants, and the eight-screen Vox cinema. The opening of the new extension will be later this year.